In a recent article by Newsweek, journalist Aimee Swartz delves into the hot-button issue of medically vulnerable patients, often callously labeled as “vegetables,” and how medical testing has proven that in many cases these patients are living on the edge of consciousness. Swartz introduces her article by spotlighting Maggie Worthen, a healthy 22-year-old on the verge of college graduation, who suffered a massive stroke that resulted in what doctors claimed to be an unconscious state. Finding a doctor that would finally take Maggie’s condition seriously was the hardest part. But once the family found one, Maggie was transported to Weill Cornell Medical College to undergo clinical trials for those recovering from severely injured brains. In a shocking turn of events (well, to everyone but Maggie’s family), the studies proved that Maggie could, and actually would, respond to inquiries made by medical personnel using eye movement. The Newsweek article uses Maggie’s story as a jumping off point to explain how the latest research is showing that even patients deemed “unconscious” can, in some cases, be rehabilitated. It’s all a matter of whether or not the patient is on the fortunate end of medical attention with knowledgeable doctors and the right diagnostic tools available. 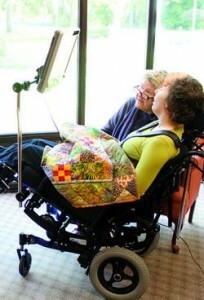 Terri Schiavo the woman who inspired a nation and the Terri Schiavo Life & Hope Network. Sadly, this story harkens back to another, more infamous, case concerning a patient who was deemed medically vulnerable. 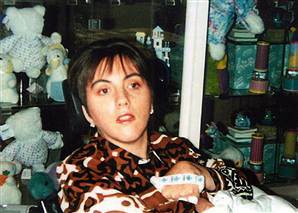 Terri Schiavo who had been ignorantly dubbed a “vegetable,” despite her family’s adamant protests and medical documents contesting the issue, was ultimately made to suffer an unconscionable death. These two cases only further prove that the struggle is all too real for victims of serious brain injuries and demonstrates how they often get swept under the rug, in favor of more “easily understandable” medical cases. To learn more, please review the original Newsweek article which can be found here.